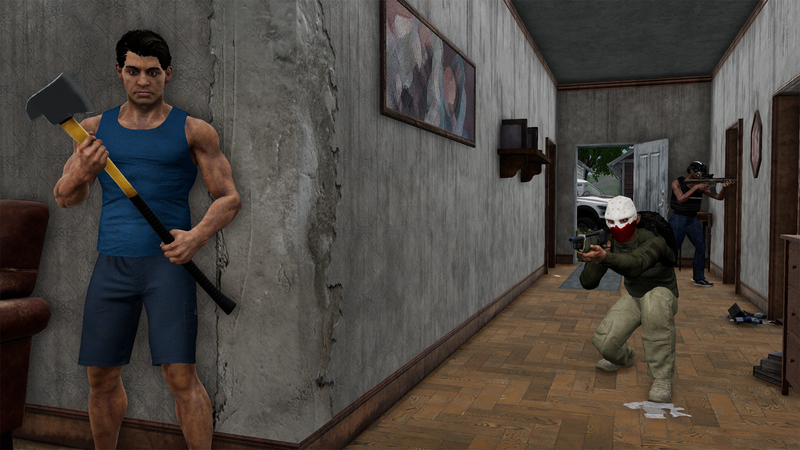 As the first standalone battle royale, The Culling could've led the genre. The Culling peaked at 12,622 concurrent players in March 2016, and still drew over 5,000 in the next two months. A little over two months ago, its sequel launched, peaking at 249 concurrents before plummeting to just two, two days later. That’s a disaster by any standard, but it’s extraordinary when one considers the distance traveled from the heights of the original, not to mention that game’s position in the vanguard of gaming’s current craze, the battle royale. 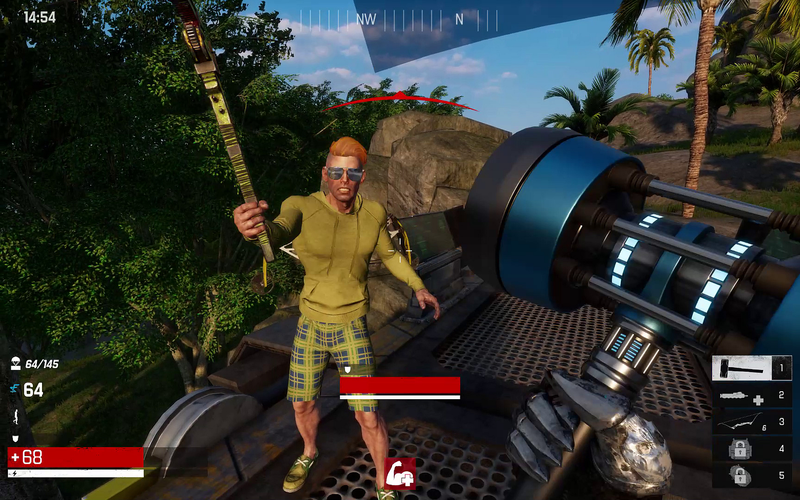 The Culling proudly billed itself as the first ‘built-from-scratch’ battle royale, launching in February 2016 when the genre was still gestating in the modding community. 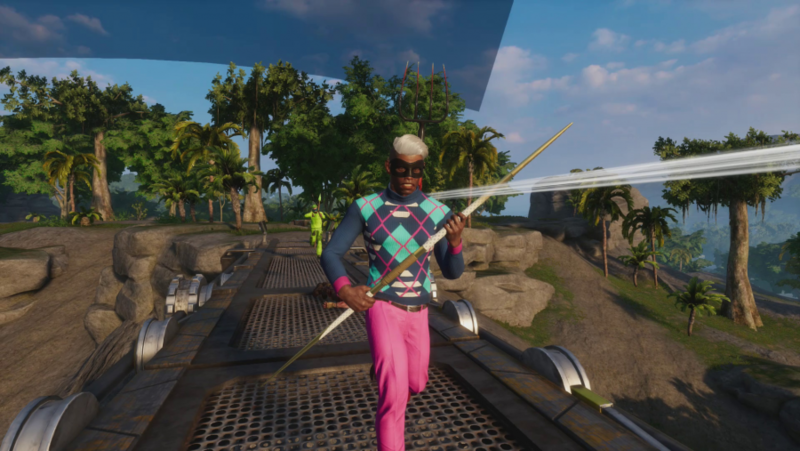 The Culling 2 did so poorly that developer Xaviant pulled it after barely a week, and has recently relaunched the original as a free-to-play game in an attempt to revive its fortunes. For all that the episode has been painful to witness, it must have been worse to experience. We spoke with Josh Van Veld, director of operations at Xaviant, about the conception of the Culling, where it all went wrong, and what the studio has learned. PCGamesN: How did the idea for the original Culling come about? Josh Van Veld: After Xaviant made a game called Lichdom: Battlemage, we refocused the studio and went down to around 20 developers, which is about the size we are today. For our next game our CEO and founder, Michael McMain, suggested everybody form groups and pitch different concepts. We had lots of ideas, but one of them was The Culling. That pitch was almost fully-formed. The title was there, the idea of a melee-focused battle royale, the entire format was there. At the time, I think the battle royale mod for DayZ existed, or for Arma, and H1Z1 was just starting to experiment with it, but there were no built-from-scratch battle royale games. There were a lot of survival games, but the battle royale aspect added some structure and focus. There were a lot of strong pitches, but that was the one that really grabbed everybody. We got really excited about it, and within a few weeks – this would’ve been March or April of 2015 – we had a basic working prototype. PCGN: So did those early battle royale mods, including PlayerUnknown’s, not influence that pitch at all? Were you aware of them? Van Veld: We weren’t really aware – I think the team, at the time of the pitch, anyway – were certainly not aware of the battle royale mods. We were looking at it more from a Rust standpoint, saying: ‘hey, Hunger Games and Battle Royale the movie are really cool. What if you took these survival games, that are more about crafting and open-world survival, but focus them on an arena where the goal is very specifically kill or be killed?’. So although battle royale was getting off the ground at the time, our team weren’t fully aware of that. That’s probably why The Culling is so different from the other stuff out there. It was kind-of developed in a vacuum, and had a range of eclectic influences. Every week we would watch a different battle royale movie, to the point where we were scraping the bottom of the barrel by watching Surviving the Game with Ice T.
But that idea of people hunting and killing other people goes back ages. I remember reading a book called The Most Dangerous Game from the 1920s. One of the guys on the team had read the Japanese novel Battle Royale that the movie was based on, that was an influence too. So there were a lot of things out there in pop culture already with those ideas. We were definitely not initially influenced by the gun games, and maybe that was to our detriment to some extent. When those games started to emerge we almost felt like they existed in a different genre, so we didn’t pay a whole lot of attention to what they were doing. We looked a lot more closely at them later, and saw that they had some cool concepts and mechanics that our game didn’t. 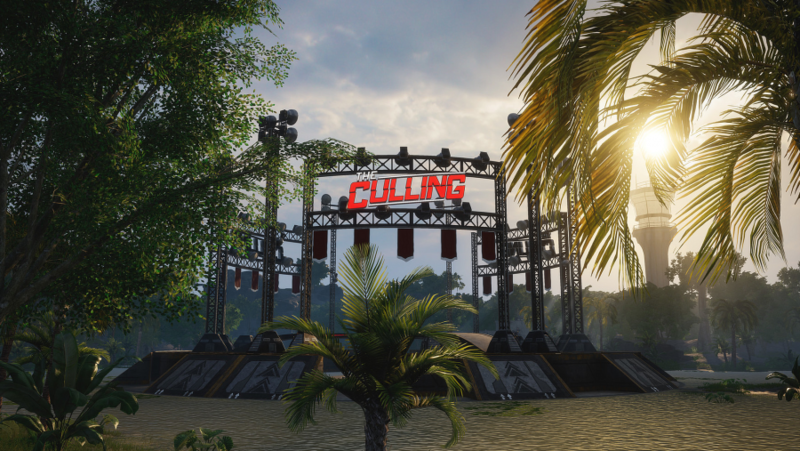 PCGN: The Culling changed a lot throughout its development. What was behind that turbulence? Van Veld: It was more death by a thousand cuts than one specific thing. We’ve actually gone back over all the patch notes for the entire run of the original Culling, and with the benefit of hindsight we can see a few key areas where we made mistakes. One was we mucked about with the mechanics of combat. Timing, controls, visuals, just how combat feels. We figured ‘hey, this game is in early access, so we’re free to treat it like it’s unreleased’. I think PUBG went through the same thing, where they launched in early access telling themselves it was a version of an alpha, but the reality is once you sell the game to somebody, you don’t own it the same way you used to. You are beholden to your community whether you know it or not, and we didn’t really know that. Another mistake was we were too fast and loose with our updates. Sometimes we introduced as many bugs as we fixed, which didn’t build players’ confidence in us. We also didn’t realise that every time you force people to relearn something you’re taking a huge risk, because some percentage of people – whether or not they actually liked it the way it was – they were at least comfortable with it, and they’re very upset when you pull the rug out from under them. We did that in a lot of different ways. And when we saw player counts falling off, we said ‘we need to look for ways to onboard new players’. We thought we might have accessibility problems, so we looked to do things that would make the game more accessible and more forgiving. We also looked at the specific feedback from top competitive players, who wanted things to be more balanced and esports-ready. We just made so many changes, all without a unifying direction or vision for where we wanted to take it. It happened so fast that we didn’t really get to know the day-one game at all before we moved on. The game was like this delicate plant that was just starting to grow, and we started pulling leaves off of it and transplanting it to a different part of the garden and all this stuff and it just – whatever chance it had to flourish, we smothered it. PCGN: Hindsight is 20/20, but this seems like a big thing to have missed, especially with a community as vocal as yours was being. Van Veld: When you’re in the middle of it you can’t see the forest through the trees, I think. We didn’t do anything maliciously, or with any intention other than ‘hey, we want to make the game better, we want to get people playing it even more, we want it to succeed’. We never went and started developing something else – we got accused of taking the money and running, but we literally spent all the money we made from The Culling developing The Culling. And we didn’t know – like, literally, we didn’t know how to listen to the community. We didn’t know a good path for communicating our plans and then gathering feedback. The community needs to feel like the developer has their hands on the reins, and has a direction and a vision to follow, but are also listening carefully to what the community says. We were just being bombarded by input, and we didn’t know how to handle it. It’s very confusing when you’re in the middle of it. If you go on Reddit or on Steam forums, you’ll find a hundred different perspectives on why the game got where it is now, and what was good versus what mistakes were made. It’s very, very difficult to feel like you have an accurate picture. Stepping away for a year to work on something else – even though that something else turned out to be an utter catastrophe – gave us perspective. We’ve been able to come back level-headed and calm. With hindsight, the situation is a lot more clear than it was at the time. PCGN: Let’s talk about that catastrophe. 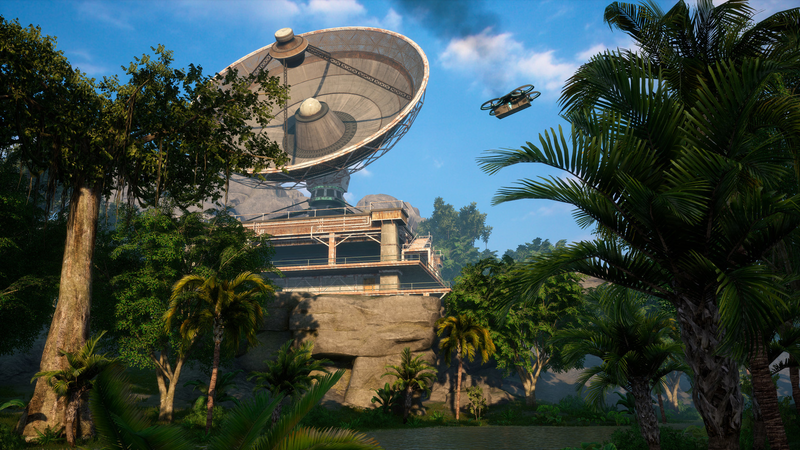 The Culling had a unique identity, but The Culling 2 looked and felt a lot more generic. Why did you take that direction? Van Veld: When we started developing The Culling 2, from our point of view The Culling had sort-of died. We didn’t have the perspective that we do now on why that was, but we were looking at it like: ‘we are ready to move on, the community doesn’t like us, they feel like we’ve let them down, nobody is really playing the game on the PC, every time we do an update it feels like we get as much hate as we do anything else’. So we were very discouraged, and we were playing PUBG and Fortnite and the other stuff that was out there. And obviously, it’s hard to look at PUBG and not be impressed by how many people are playing. We figured maybe the fact that it is a gun game makes it more accessible, because people understand how shooters work, whereas The Culling has a melee combat system that takes a bit to wrap your head around. 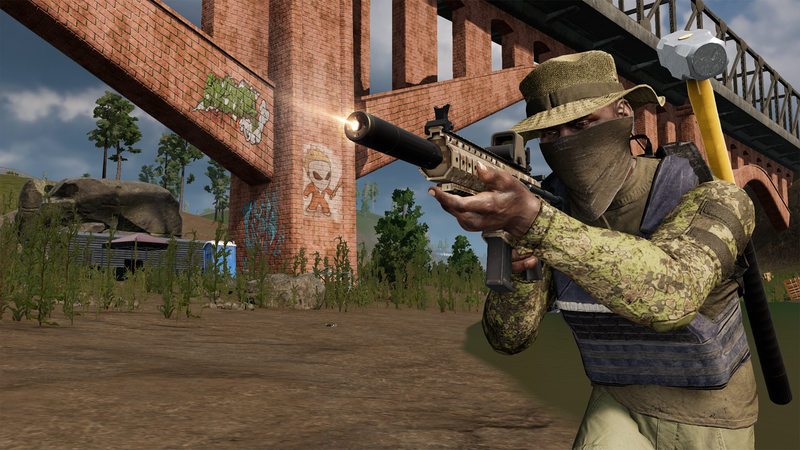 We took that system and put it in The Culling 2, so melee combat was still really powerful, but it was less prominent because it was a gun game. With hindsight it’s obvious why it didn’t work, but we thought one of the problems with The Culling was how different it was. We’ve now realised that you can’t compete against those giant games unless you’re really significantly differentiated, but also, even if The Culling is a bit more of a niche product, it’s nice to be in a niche in battle royale at this point, rather than trying to swing with the big 800-pound gorillas in the room. We are a small studio, and we were just way over ambitious looking back on it. We shipped on three platforms, PC, Xbox One and PS4, which is a big achievement for any game made by 20 people in roughly nine or ten months. 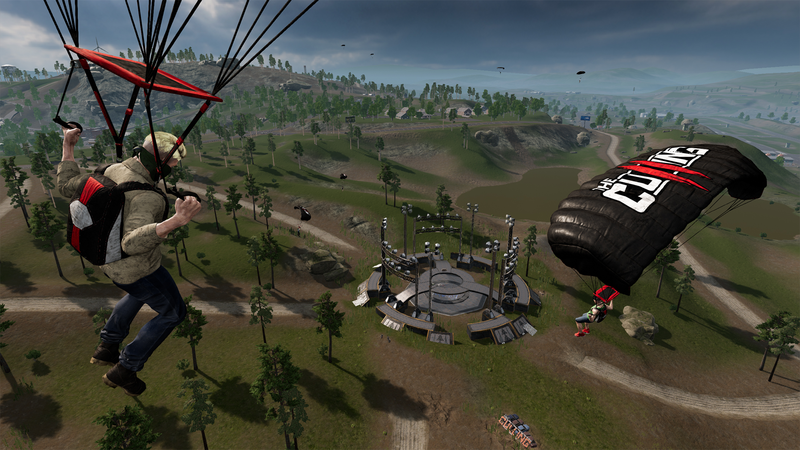 And for all of its faults, The Culling 2 wasn’t an early access game – it passed certification on all the platforms, and when we did tests with fifty players the servers ran extremely well. They were able to maintain sixty frames a second and all sorts, so even though our population was so low when we launched that we weren’t seeing full matches, there were a lot of technical accomplishments where we were punching above our weight that we felt good about. PCGN: Did you think you could compete with PUBG? Van Veld: Well, when we started development it would have been around August 2017, and at that point PUBG was five months in or so. It was still rough around the edges, the Xbox version hadn’t released and the PS4 version hadn’t been announced. It still wasn’t there, and this was way before Fortnite had started to kick into high gear. The competitive landscape for battle royales was still pretty sparse. We thought there was still plenty of opportunity. We thought if we can get this out quickly, if we can leverage what we’ve got from The Culling but go to a third-person camera, add guns, and make it more accessible in terms of inventory management and that sort of stuff, we saw a lot of areas of the design where we could refine things. I think everybody knew there was a lot of competition coming, but we had two years’ experience making the first built-from-scratch battle royale. We figured we could get something on consoles that would be competitive quickly, and I think we just underestimated the task ahead. A lot of the unique elements that we wanted either fell by the wayside or weren’t realised in the level of detail we were hoping for. And, probably most importantly, we failed to consider the state that The Culling’s audience was in. They were not going to get excited about any new Culling game unless it righted the wrongs of the past, and we just weren’t thinking about that at that time. PCGN: When did you realise The Culling 2 had failed? Van Veld: For me, it was… we were really excited about the launch – naively, I guess, looking back on it – and I was at my desk getting ready to play. The plan was to play the game all day after it launched, and initially the numbers started going up, and it was like: ‘okay, off to a bit of a slow start, but it will grow’. And I think PC hit something like 200, 250 players and then it started to go down, and that’s when I knew that the launch had failed. I was almost paralysed by what a terrible feeling that was. That afternoon a few hours later, Michael said ‘we can either sit around feeling sorry for ourselves, or we can start talking about what we can do, we can start taking some action’. We talked for several days, and about a week after the launch and several iterations, we had landed on the plan. When it came down to it, we realised the only way for this to work is we have to pull that game off shelves, refund it, and go back to The Culling. That was a very difficult and painful period. There is a grieving process involved in losing something that you worked really hard on, and that you cared about. And there’s fear involved, because you don’t know what it means for your studio. But by the time we had our plan and rolled it out publicly, things started getting brighter and brighter for us. Despite what you might expect if a studio had a failure like we did, we have not had a single person leave the team since The Culling 2 launch. PCGN: Were you never tempted to cut your losses entirely and leave The Culling behind? Van Veld: We talked about it, but the opportunity we saw was to enter the console space quickly and with a battle royale that had The Culling’s personality. I think a lot of the other games don’t really have an IP, they’re sort-of generic, whereas we had this great IP of a battle royale game show. We wanted to bring it to consoles and build on the foundations we had, so that was an appealing path forward. We ended up taking probably 50% longer than we were hoping to actually get it out the door, and even then we weren’t able to do everything with it that we wanted to. We sort-of ran out of time. In retrospect, doing something completely different as a palette cleanser would have been a better approach, but that’s something we just weren’t equipped to see at the time. PCGN: Is there anything you think you could’ve done to anticipate and avoid the problems you’ve had? Van Veld: I think that… I listened to this podcast recently with Jay-Z, and he said something that I thought was really poignant, which is that he’s still trying to figure out how to learn from success. The implication there, obviously, is that the only time you really learn is when you fail. So realistically, even though I could write a pamphlet now and try to tell some other developer how to learn from our mistakes, or maybe if I could get a time machine I could go back and try and to teach myself some stuff, the reality is that the only way we were going to evolve into what we are now as a studio is by going through what we’ve gone through. And even though it’s been rough and a little unpleasant at times, I’m actually grateful, believe it or not, that we’ve gone through it and are still here trying to make it happen. Until the final curtain call I’m going to look at this as an opportunity to learn and move forward. 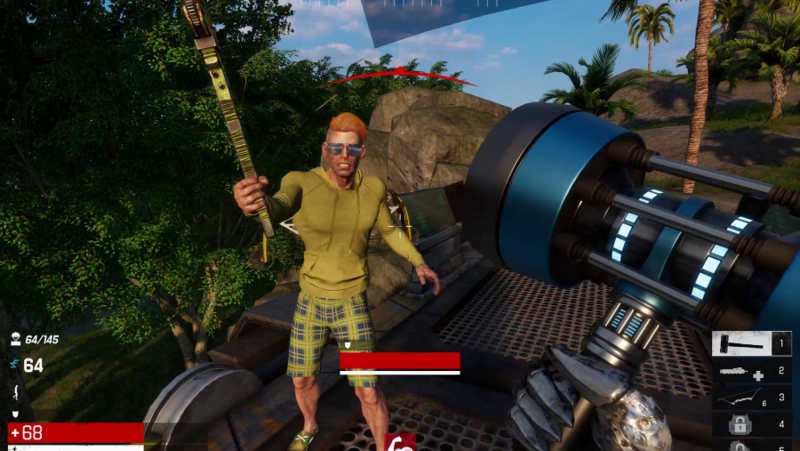 The Culling relaunched at the end of last week as The Culling: Origins, a free-to-play version of the original game’s day-one build. Its concurrent peak so far is 1,459 players – its sixth-best month on record.